A new character in the series starting with Tekken 6, Bob instantly became the heaviest fighter on the roster. All of those fourth meals didn't slow him down, clearly, as he was one of the fastest martial artists as well, pulling off amazing moves with Bruce Lee zest. 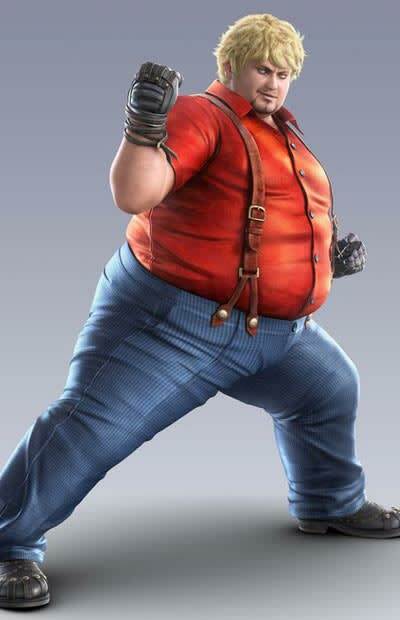 Ironically, after emerging triumphant from the Tekken tournament and going on worldwide tours that took him away from his passion of eating, Bob loses all of his weight and finds himself weighing in at a svelte 150 pounds. We like the old Bob better, so he can stay.